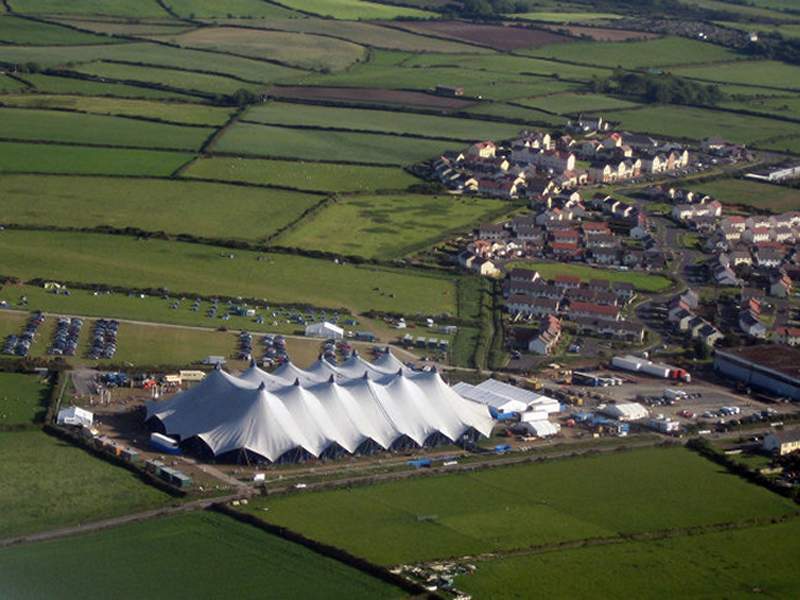 Rudi Enos designed the Valhalla as the largest of his 1990's portable membrane structures. 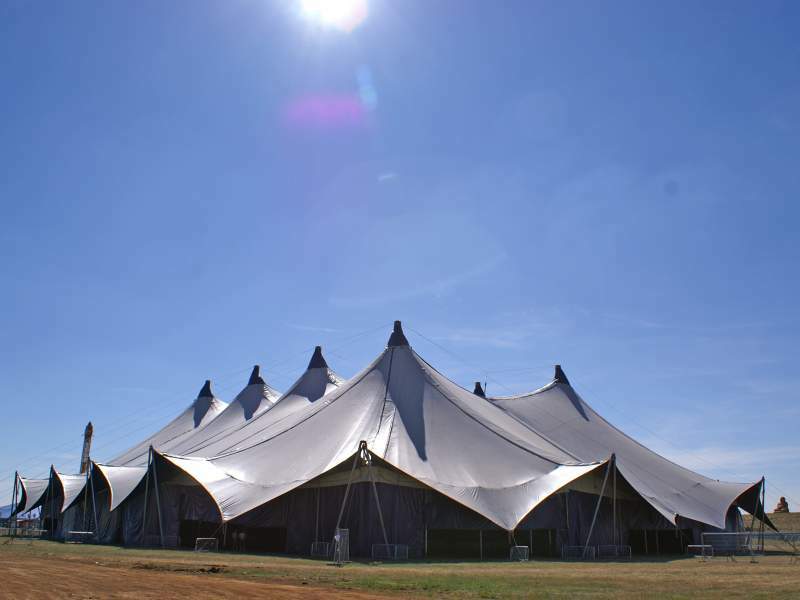 Named after the Norse fables, hall of the gods, it was intended to be the largest portable structure ever built that is available for hire. 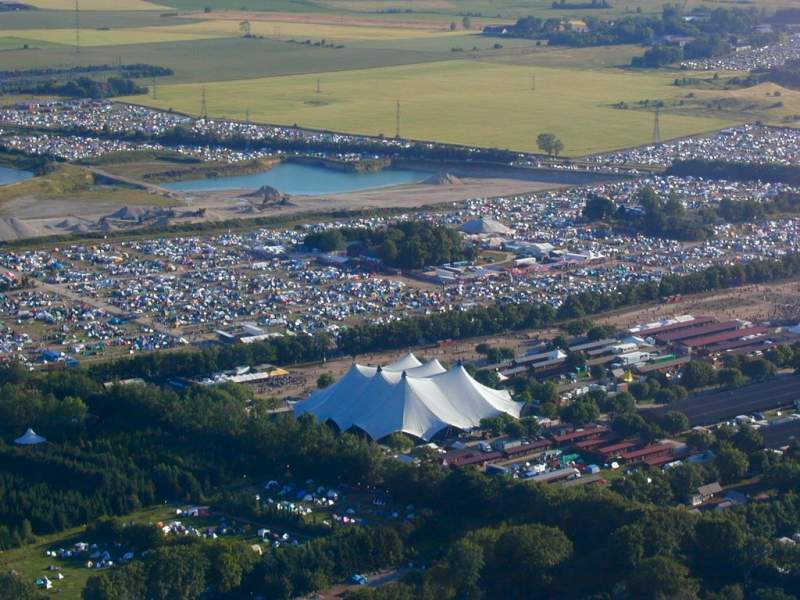 At 12,600 square metres it remains so today, closely followed by the Kayam Concert tent with an area of 10,490 square metres and MT66 Megadome at 8,800 square metres. 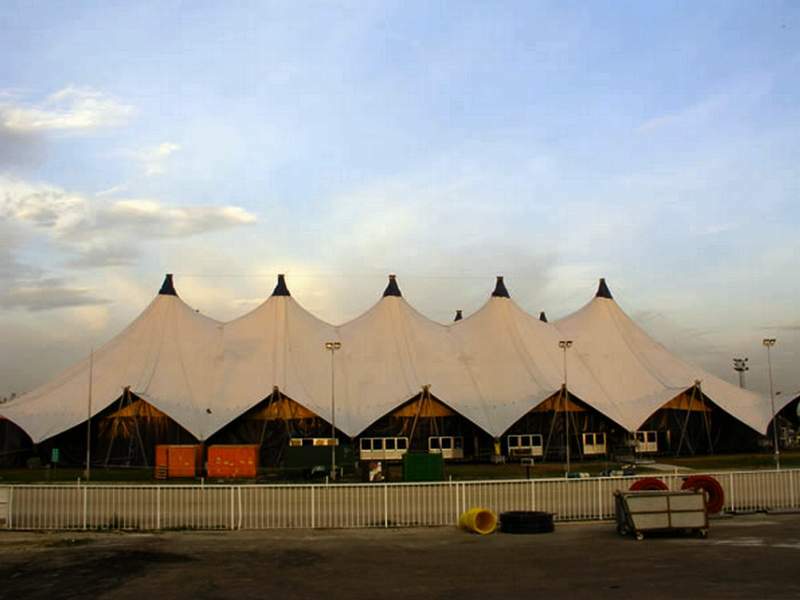 By any standards these are the largest portable structures ever used for major events. All sizes quoted are for the perimeter of the roof profile as seen in plan. 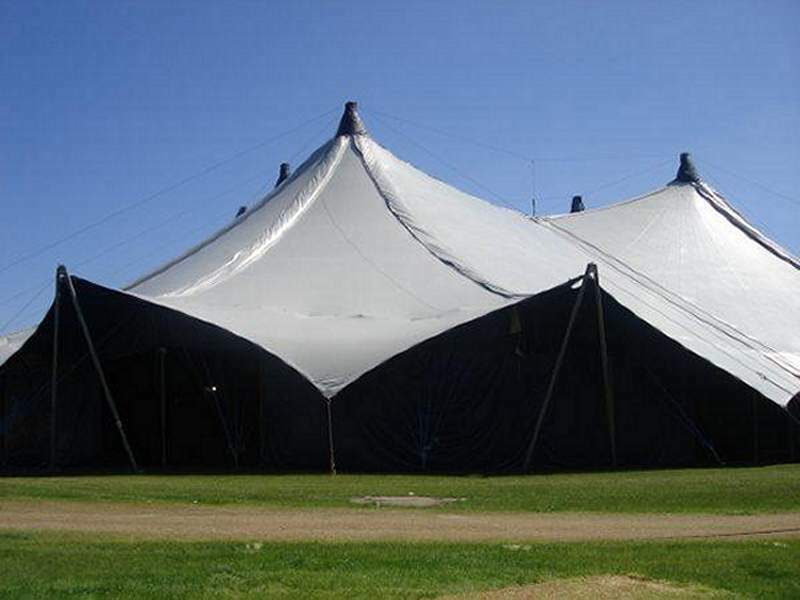 The Valhalla portable membrane structure is simply staggering. 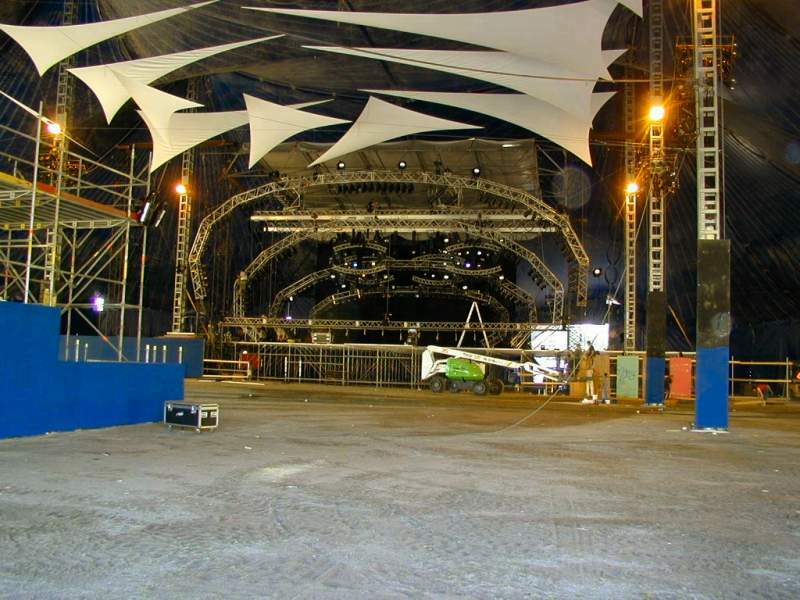 This structure uses unique methods of design, manufacture and installation to achieve the project aims of providing the first large scale portable structure to house the same events as a permanent arena. 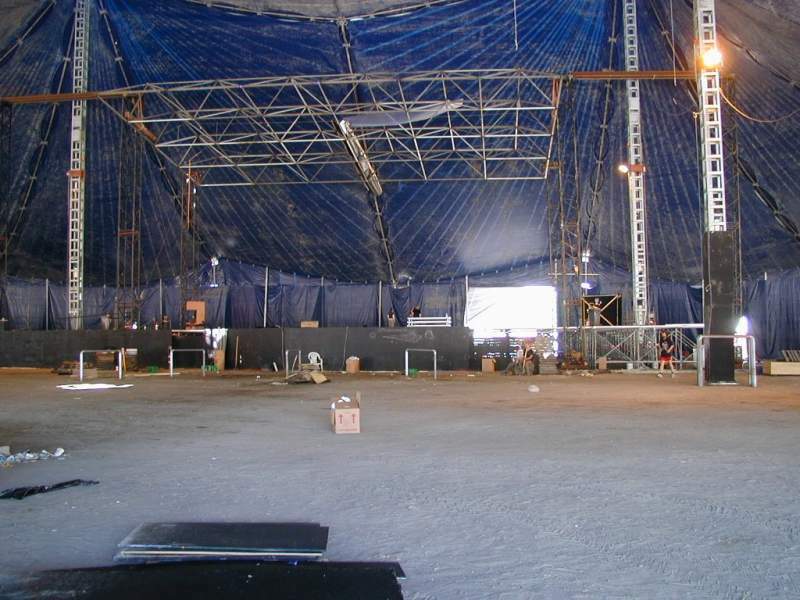 The structure was used for the first time on new years eve 1999 to herald the new millennium. 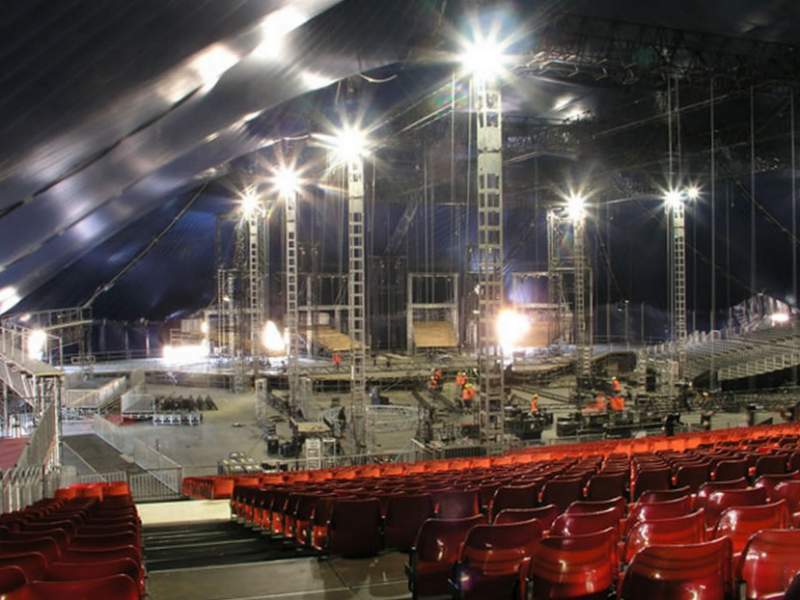 It became the largest indoor celebration in the UK for the new millennium by accommodating 28,000 people inside the structure together with staging, light and sound equipment which cost £400,000 to hire for the night. 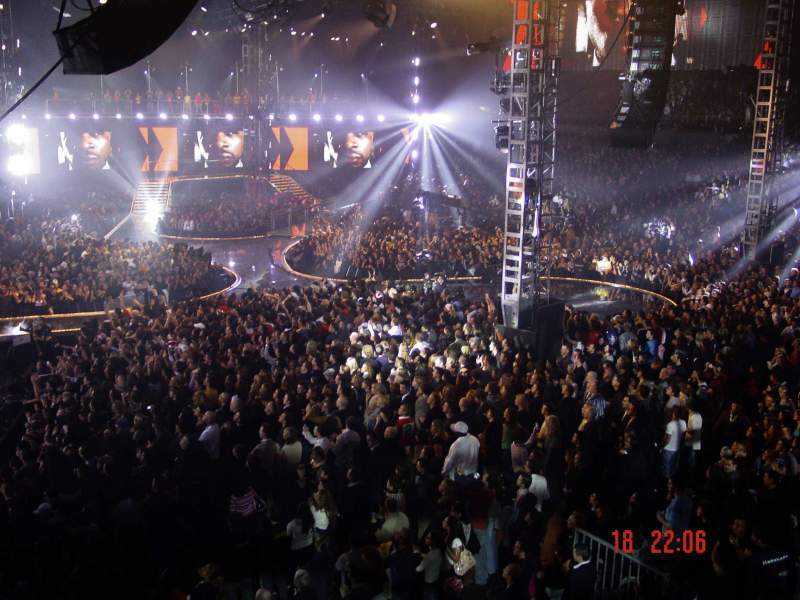 Production costs for the single night ran into the millions. 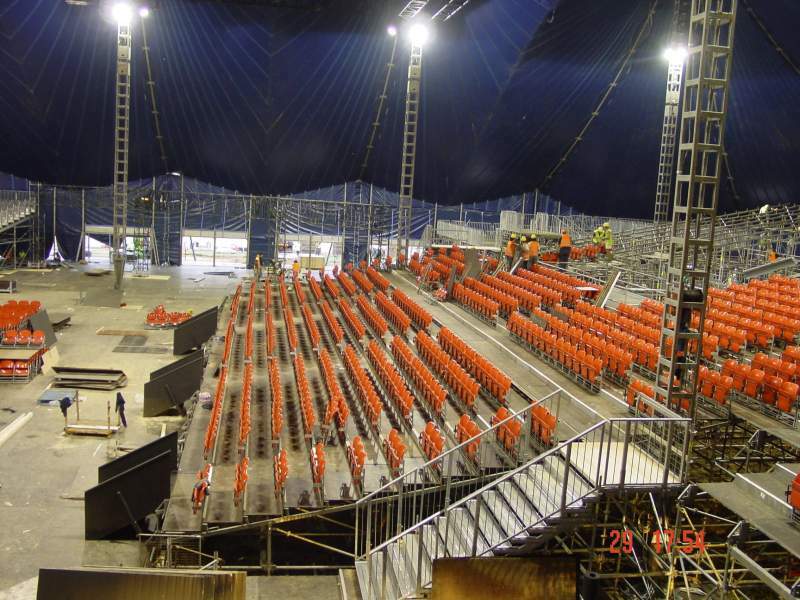 90% of the effects were suspended from the structure with a total flown load of 40 tonnes. 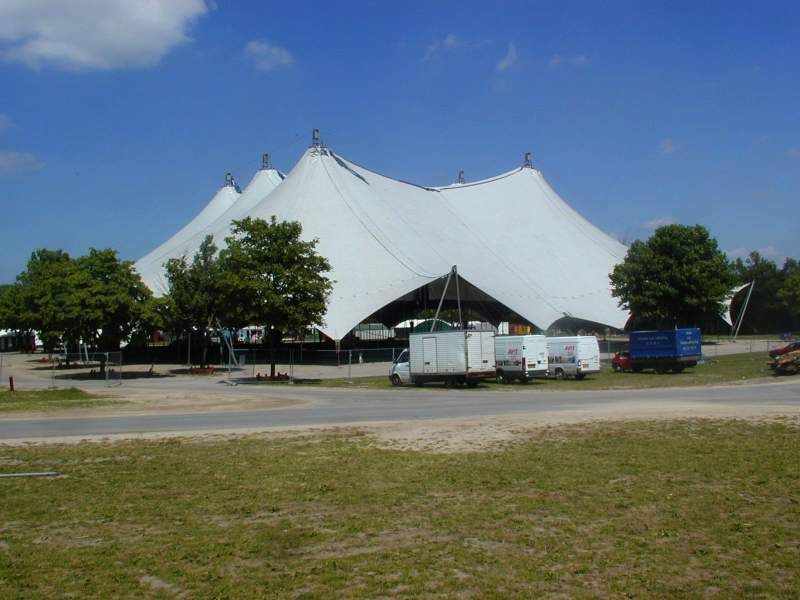 Valhalla, (named Tensile1 by the operating companies) was awarded the Guinness Book of Records 'World's Largest Portable Venue' in 2000. 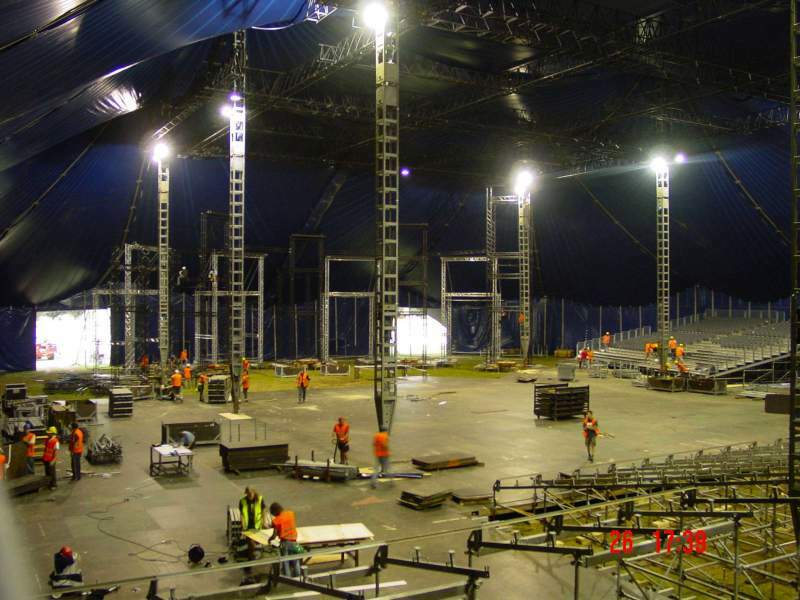 Since then, it has housed 'Victoria's Secrets' fashion show in New York, n used by Roskilde Festival, Global Gathering, The MTV Europe Awards in Rome 2004 and for the 'Moonwalk' Breast Cancer charity in Hyde Park. 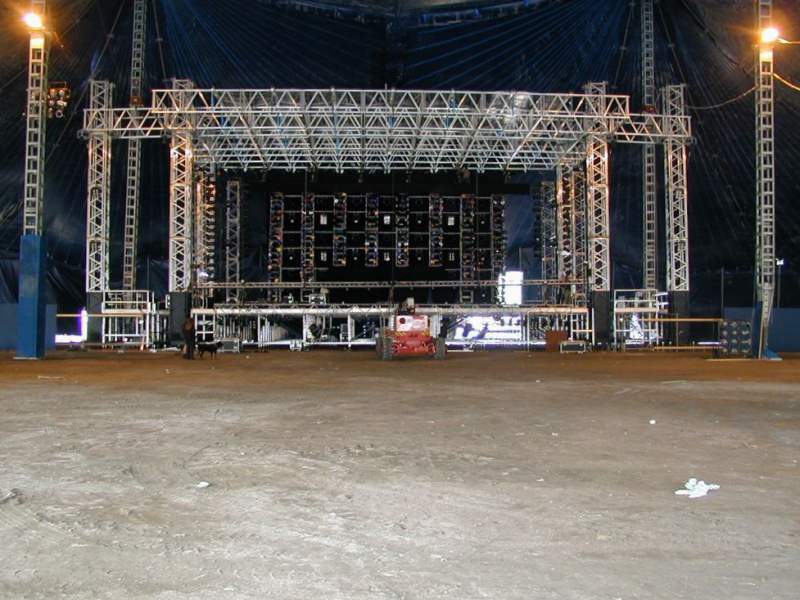 It is also used for many European festivals and events. In Norse mythology, Valhalla was the legendary banqueting hall of Odin, principal god of the Vikings, which played host to the Einherjar, the souls of warriors who had died a courageous death in battle. The largest building in Asgard, heavenly home of the gods, Valhalla constituted one of it's 12 realms, its cavernous interior playing host to Viking heroes awaiting Ragnarok, final battle of the world. Its 540 doors, each wide enough to allow 800 warriors to enter abreast, waiting to receive the souls of the brave. This legendary building was to provide rich inspiration for the very real Valhalla project. Conceived and designed to provide the same sense of wonder to all who enter for the first time, as that original building of Asgard, the proportions of the Valhalla structure do not shame the legend. It is 86 metres wide, 160 metres long and 25 metres high. (106 metres by 180 metres to the main anchors). 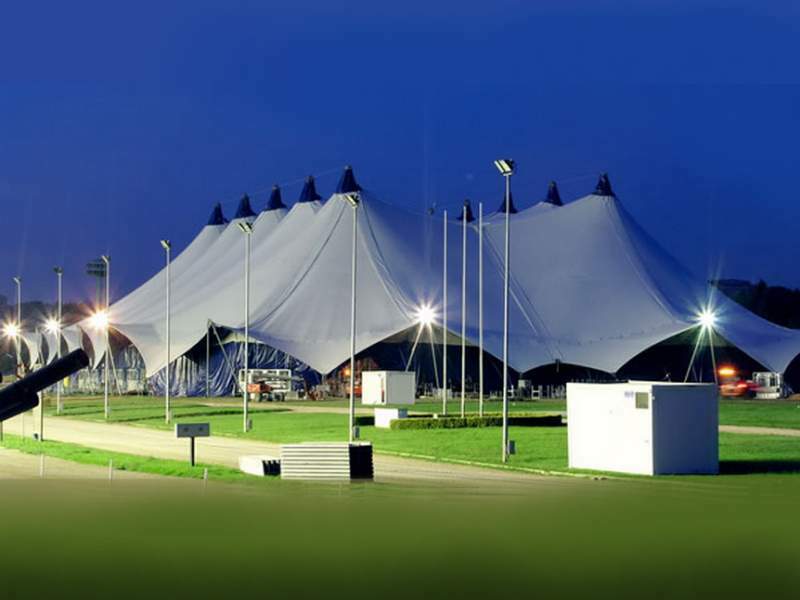 The Valhalla membrane structure as conceived is, simply put, the largest practical mobile membrane structure ever built, that also has the ability to be moved quickly.